Just in time for Halloween - Choose your scare from 30 different horror stories! 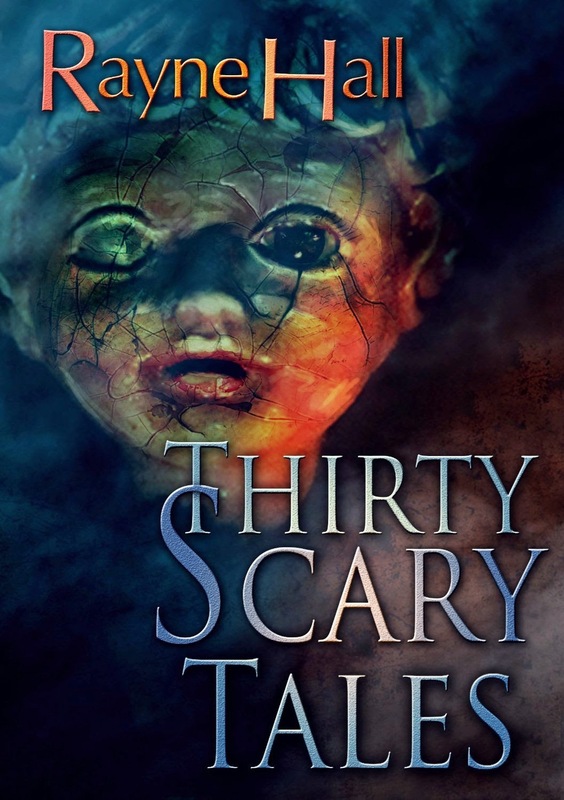 Thirty Scary Tales is a collection of creepy short stories by author Rayne Hall - writer of horror and fantasy fiction. Instead of bloody violence and gore, these stories aim for psychological scares - From claustrophobia to drowning to any other fear you may have. This well-written collection has something for everyone. It addresses many different common fears and even some unique things like a dark twist on an old fairytale or what could happen when you run away from a bad relationship. I personally enjoyed The Bridge Chamber, The Devil You Know, and Burning the most. What I like about this collection is that I can choose to read a story here and there without reading the whole book front to back. It's perfect to read before bed because each tale is short enough to get through without falling asleep... And also because nighttime is the creepiest time to read these stories! The author lives in a small Victorian village in southern England, thus, the spelling and grammar in these stories are British English. For me, this made the stories that much more interesting. There were a few times where I had to read a bit slower to understand the verbiage, but it didn't really get in the way of the creepy mood or the impact the stories had on me. These are definitely more subtle scares than your traditional horror stories, but that is why I like them. They are just disturbing enough without going overboard. I also really enjoyed reading the author's notes at the end of most of the stories - they explained where she came up with the idea or how a story developed in her mind. Thirty Scary Tales is available on Amazon as an ebook or paperback.